Latest Update: The transfer process is being completed. Students who applied for transfer can check their transfer portal (http://transfer.lautech.edu.ng) for the status of their transfer application. Those whose status reads: “Portal Updated”, can proceed to log in to their Student Portal account and complete their Course Registration, otherwise, if your transfer status reads: “Transfer Declined”, your transfer application was not successful. 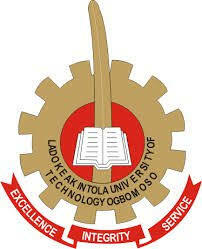 This is to inform all the 200 level students of the Ladoke Akintola University of Technology, Ogbomoso (LAUTECH) that the management has opened the portal for change of programme/transfer. All 200 level students who are interested in changing their programmes are to note that the portal for change of programme/transfer for the 2017/2018 academic session will be opened on Friday, March 9, 2018. Application forms will be made available online (www.transfer.lautech.edu.ng) to interested students from Friday, March 9, 2018 to Friday, March 16, 2018. Applicants are to pay the sum of Three Thousand naira only (N3, 000.00) online in order to access the application form.